Built in 1831 for John and Henrietta McDonald and family. In 1911, it was deeded to the Town of Gananoque. This heritage building features original cornices, moulding, stair rail and the original family school room. For more information, download the History of Town Hall [PDF]. 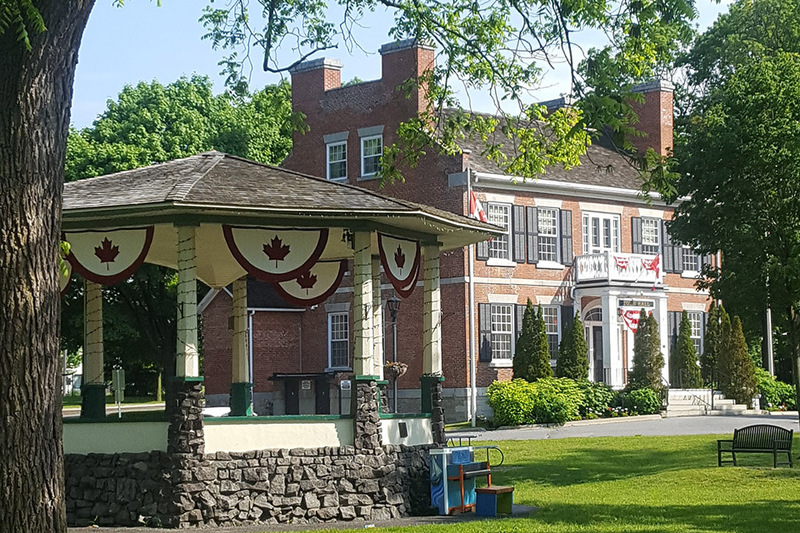 Following the 2014 Municipal Election, Mayor Demchuk and the newly sworn in Town Council resolved to embark on the creation of a Strategic Plan that would shape the future direction of the community. The Accessibility for Ontarians with Disabilities Act, 2005 (AODA), Accessibility Standard for Customer Service (ASCS) and the Integrated Accessibility Standards Regulation (IASR) requires all contractors and their employees who provide goods, services or facilities on behalf of the Town of Gananoque receive training on these standards and on the Human Rights Code as they pertain to persons with disabilities. Contractors must keep records of all training, including dates when training was provided, the number of employees who received training and individual training records for their business. Contractors are required to make this information available to the Town and/or the Province upon request.